Though stick-shift SUVs are a vanishing breed, there are still a few automakers building them for consumers in search of the best manual transmission SUVs. As always, you get what you pay for, although manual transmission-equipped SUVs are generally less expensive than automatics, and often get better fuel economy. Most are car-based models, not really designed for heavy off-road use. And you can dude them up with all the bells and whistles if you want. It’s really your choice, isn’t it? Jeep Wrangler – Hands down, and, some say, the only true SUV in the bunch, the 2010 Jeep Wrangler 2-door SUV is the clear front-runner. With its standard 202-hp 3.8-liter V6 engine mated to a 6-speed manual transmission with overdrive and standard four-wheel drive, Wrangler handles tough trails and streams with ease. 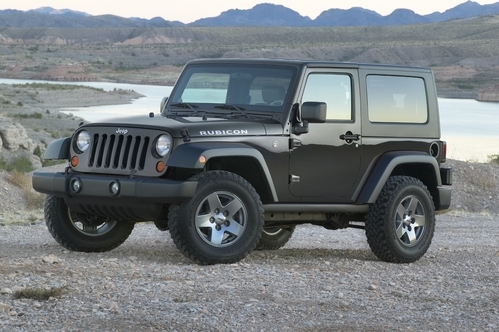 Cars.com says, “This off-roader emphasizes rock crawling over highway comfort, and when it comes to hard-core trailblazing, it’s rarely matched.” Other enticing features include standard electronic stability control (ESC) with roll control, traction control, brake assist, and hill hold control. Fuel economy is an EPA-estimated 15 mpg city/19 mpg highway. Starting manufacturer’s suggested retail price (MSRP) ranges from $21,915 to $29,525. I read about you on another site I found on Bing and thought they had great views as well….